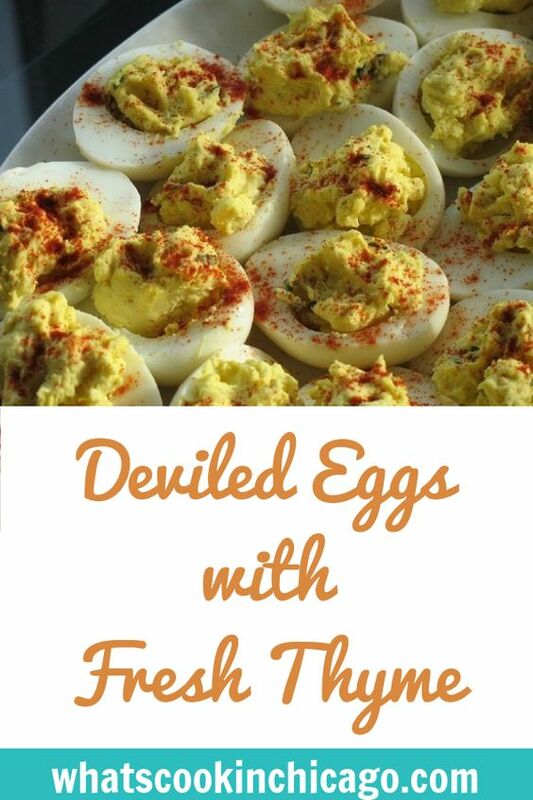 What's a July 4th celebration without some deviled eggs?! This is a classic recipe with my twist by adding some fresh thyme for some color and flavor. Cut each hardboiled egg in half. Remove the yolks and place in a medium bowl. Set the hollowed egg white halves onto a serving platter. To the yolks, add the remaining ingredients except the paprika in the bowl and combine until you have a creamy mixture. Spoon the creamy yolk mixture into each hollowed egg white. 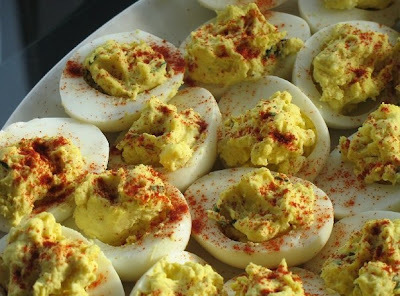 Garnish by sprinkling the tops of the deviled eggs with paprika.